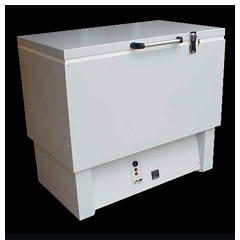 Ontario Ovens Inc. has -40C industrial freezers available for everything from epoxy storage to cold temperature testing. 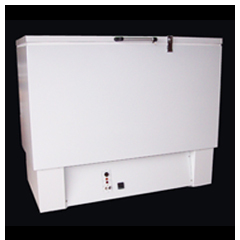 Our -40C industrial freezers are a line of heavy duty chest freezers that range in size from 1.7 to 21 cu. 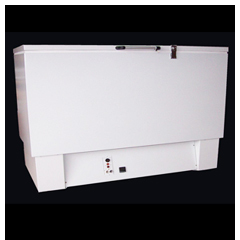 ft. and are capable of operating from 0C to -45C. Because we specialize in thermal processing applications to companies around the world, we have the expertise to help you find the proper freezer for your application. All our industrial chest freezers are tested prior to shipping and covered by a toll-free help line, 18 month parts and labor warranty and local service support! 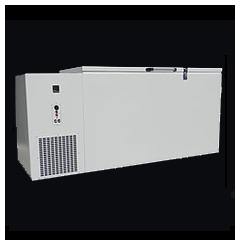 Every -40C industrial freezer comes complete with a programmable digital temperature controller with digital display for precision, audible alarm, mobility casters and a key-lockable lid for security, cfc-free construction and manual defrost for temperature stability. 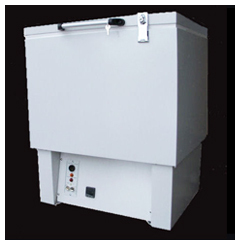 The -40° C industrial freezer is a ruggedly built, small capacity chest-style freezer. Interior(H x W x D): 13" x 18" x 12"
Interior(H x W x D): 14" x 30" x 13"
Interior(H x W x D): 17" x 47" x 15"
Interior(H x W x D): 19" x 49" x 17"
Interior (in.) HxWxD: 19" x 49" x 17"
Interior(H x W x D): 25" x 49" x 17"
Exterior (in.) HxWxD: 50" x 60" x 28"
Interior (in.) HxWxD: 25" x49"x17"
Interior(H x W x D): 32"x60"x20"